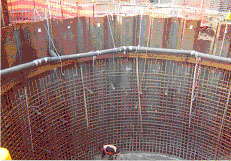 A new emergency overflow storage reservoir of 9m in diameter and 8m deep was constructed in water-charged sandy ground. 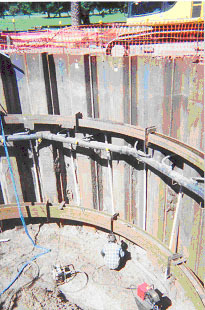 Sheetpile shoring was installed and spearpoints were used to control the water. 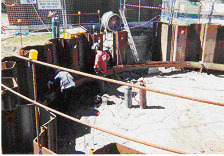 New ductile iron, cement lined pipework and a valve chamber were installed to connect to the system.